Burger King welcomes and embraces everyone. That's the message with their "Proud Whopper." What's so special about Burger King's new Proud Whopper? Nothing! Because "We are all the same inside!" And that is pretty special. You can see in the happy & touching video below, that BK in San Francisco offered their "Proud Whopper" to customers without really saying what made it different from the regular Whopper. Until you unwrapped your burger. 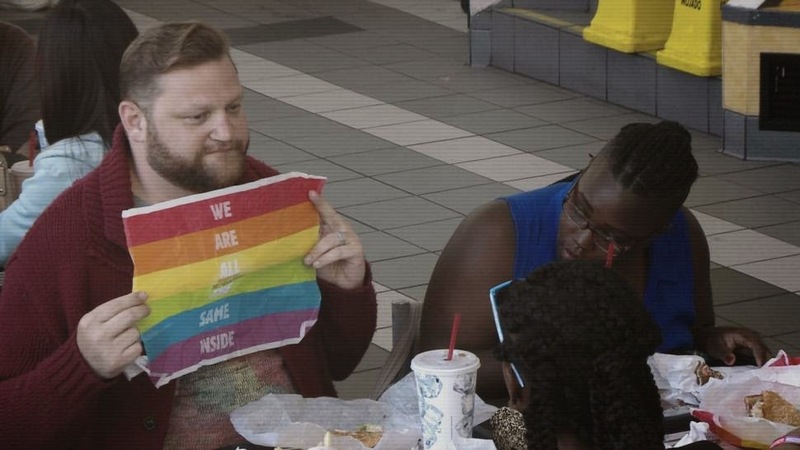 The inside of the rainbow paper wrapping the burger exclaimed, "We Are All the Same Inside." It's nice to see some positivity on this issue, as opposed to that chicken restaurant that gives part of its profits to organizations that fight to prevent equal rights for all.